we'll concentrate on your needs. so you can concentrate on winning. ​As horsemen ourselves, we understand the needs of our members. That’s why we offer comprehensive benefits for all qualifying members in good standing. You must remain active and meet the required number of starts per calendar year to participate. ​Planning for your retirement is easier when you participate in the PHHA's Retirement Savings Plan. 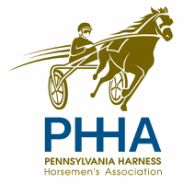 View the attached documents for complete information and a downloadable membership application that you can complete and return to your local PHHA field office. Contact the PHHA offices for complete details.